To evaluate the safety and efficacy of combination therapy (TACE+ sorafenib) in patients with advanced stage HCC. Open-label, non-randomized, single-arm multicenter phase II clinical trial. The primary endpoint was defined as the rate of completion of the treatment protocol (i.e., 2 months duration of sorafenib following TACE); secondary endpoints included: objective response rate, disease control rate,overall survival (OS), progression-free survival, and incidence of adverse events. Patient Selection: Patients from 9 institutions in Japanwere enrolled from July 2013 to September 2015.Initially, thirty-two patients with BCLC Stage C HCC naïve to systemic chemotherapy were enrolled. However, onepatient was found to have cholangiocarcinoma and was excluded; thus, a total of 31 patients were included in the analysis. Additional eligibility criteria included:C-P Class A; ECOG score of 0 or 1; age >20y; adequate hepatic, renal, pancreatic, and hematologic function, and >4 weeks duration since any prior local therapy. Patients were excluded if they met any of the following criteria: main or first-order PVTT(associated with poorer tolerance to TACE as patients are dependent solely on arterial supply to the liver), encephalopathy (due to reduced liver function reserve), brain metastasis, hemorrhagic varices, refractory pleural effusion or ascites, uncontrollable hypertension or severe heart disease, active infection,and concomitant malignancy. Given these highly selective criteria, a relatively healthy patient population in the context of advanced HCC was selected.Notably, while this is ideal for optimizing patient tolerance to combination therapy, it excludes a significant proportion of those with advanced disease. 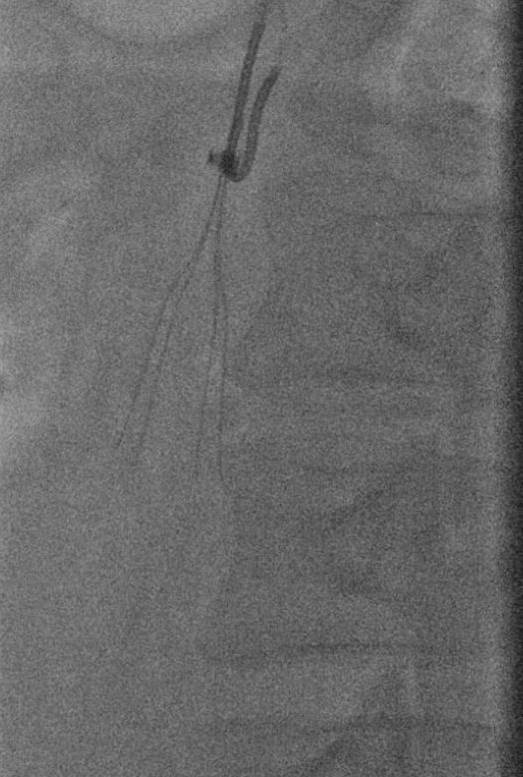 Treatment Protocol: Patients underwent conventional transarterial chemoembolization with an anticancer agent of physician preference mixed in iodizede thiodiol followed by embolization to angiographic stasis using Gelpartgelatin sponge material. The various anticancer agents used for TACE, alongwith their median doses (and relative frequency of use), included: epirubicin 50 mg (69.8%), cisplatin 100 (17%), cisplatin 50 mg + miriplatin 120 mg (11.3%),and miriplatin 110 mg (1.9%). For the systemic chemotherapy component, patients received an initial daily dose of sorafenib 800 mg within 4 weeks after initial TACE. Temporary discontinuation and/or dose reduction was permitted to optimize therapy in patients with poor tolerance. The treatment protocol was continued until either: i) patients developed unacceptable toxicity, ii) patients refused further treatment, or iii) tumors were refractory to treatment. Evaluation of Treatment: Follow-up CT or MR imaging with and without contrast was obtained at 8 weeks, then repeated every 12 weeks, to evaluate tumor response. Protocol treatment completion was defined as sorafenib administration for at least 2 months; however, treatment evaluation continued for at least one year or until death. Adverse events were reported based on Common Terminology Criteria for Adverse Events. Statistical Analysis: The number of enrolled patients was chosen based on post-marketing surveillance studies of sorafenib, which accounted for a treatment completion rate threshold of 45%. Kaplan-Meier curves were used to calculate OS and progression-free survival. Prognostic factors were determined using a univariate analysis and log-rank test. SPSS version 17 statistical software was used for all analyses. Baseline Characteristics: 24 of 31 patients were male and 7 of 31 were female with a median age of 75 years. Baseline median AFP was 120 ng/mL. The degree of tumor involvement at the time of study enrollment included vascular invasion in 19 patients (61.3%), extrahepatic metastases in 18 patients (58.1%),and both vascular invasion and extrahepatic metastasis in 6 patients (19.4%). Five or more tumors were observed in 12 patients (38.7%), and median tumor size(measured as the longest diameter of the largest tumor) was 5.0 cm. The median sorafenib dose administered was 400 mg/d. Primary Endpoint: The rate of protocol treatment completion was 28 in 31 patients (90.3%) with a median treatment duration of 7.0 months. Most patients underwent multiple TACE sessions at a median of 2 sessions per patient. Secondary Endpoints: Objective response rate was 77.4%. MedianOS and progression-free survival was 17.3 months and 5.4 months, respectively. An intention-to-treat analysis two months after initial TACE yielded the following results using mRECIST (and RECIST) criteria: 9.7% [0%] complete response, 67.7% [16.1%] partial response, 12.9%[71%] stable disease, and 9.7% [12.9%] progressive disease; the objective response rate was 77.4% [16.1%] and disease control rate was 90.3% [87.1%].Mortality analysis revealed death from tumor progression in 21 patients (67.7%)and death due to hepatic failure in 1 patient (3.2%); the 9 remaining patients(29%) were still alive at the conclusion of the study. For adverse events, the most common grade 3 or 4 events observed were self-limited elevations in AST and ALT (54.8% and 45.2%, respectively), and thrombocytopenia (19.4%). Other notable grade 1 or 2 adverse events included fatigue (80.6%), hand-foot skin reaction (74.2%), hypoalbuminemia (74.2%), fever without neutropenia (64.5%),abdominal pain (58.1%), elevated amylase (54.7%), diarrhea (45.2%), nausea(41.9%), anemia (38.7%), and hypertension (35.5%). Abdominal pain and elevated liver enzymes are known self-limited effects of TACE and are usually clinically insignificant. However, it should be noted that the nearly all adverse events of combination therapy are secondary to sorafenib, which is notorious for its marked toxicities and poor tolerance, and highlights the frequent need for temporary discontinuation or reducing the dosage. Serum AFP levels and tumor response evaluated by mRECIST were the only two statistically significant prognostic factors for median survival time (MST). MST for AFP >400vs. AFP <400 was 9.8 months vs. 26.0 months, respectively (P=0.001). MST for responders vs. non-responders was 18.7 months vs. 10.6 months, respectively (P=0.042). The findings in this single-arm multicenter phase II clinical trial using combination TACE + sorafenib therapy show promising safety and efficacy profiles in select patients with advanced stage HCC. While there are several key differences compared to previous combination TACE + sorafenib trials, the median OS found in this trial(17.3 months) is optimistic compared to other cited works (e.g., 10.7 months inthe SHARP Trialand 6.5 months in the Asia-Pacific Trial).Although sorafenib has long been a standard therapy in patients with advanced stage HCC, prognosis continues to be dismal (median survival is usually <1 year with sorafenib alone). Control of tumor progression has been advocated as the primary goal of therapy as 72-89% of patients with HCC are said to die of tumor progression. The combination of TACE + sorafenib has been a practical choice due to synergistic mechanisms in preventing HCC recurrence (i.e., sorafenib’s inhibitory effect on VEGF expression induced by TACE). However, several efforts have only shown small incremental improvements in survival, necessitating more effective systemic therapies to better target extrahepatic disease and reducetoxicities. The results of this study suggest that response to combination therapy depends on patient baseline characteristics – in particular, the univariate analysis showed those with AFP levels of less than 400 lived significantly longer. Thus, the overall improvement in survival observed may be the result of a subset of carefully selected patients. The authors of this trial note three main study limitations: small sample size limiting statistical power,single-arm without randomization to compare to sorafenib or TACE alone, andexclusion of patients with main or first-order PVTT. Thus, future studies to account for these factors are warranted (e.g. head-to-head trial to allow for a fair comparison between treatment modalities). Inclusion of main and first-order PVTT may show less promising survival as these patients traditionally have poor tolerance to TACE. In the grand scheme, it is clear there is an overwhelming need for improved systemic therapies in patients with advanced HCC that act synergistically with TACE to reduce tumor progression (especially extrahepatic) while reducing toxic side effect profiles. One area of ongoing research includes the use of VEGF inhibitors (e.g., bevacizumab) as an adjunct.Additional active areas of interest pertinent to interventional oncology and advanced HCC that are likely to merge with the combination therapy effort atlarge include the use of different regional therapies in conjunction with, oras an alternative to, TACE (such as radiofrequency ablation, microwave ablation, or cryoablation), as well as the use of different embolic and chemotherapeutic agents to optimize intrahepatic tumor response. The numerous possibilities and permutations of different HCC treatments certainly looks to have a hopeful future – only time (and future clinical trials) will tell. Sato, Y., Nishiofuku, H.,Yasumoto, et al. (2018). Multicenter Phase II Clinical Trial of Sorafenib Combined with Transarterial Chemoembolization for Advanced Stage Hepatocellular Carcinomas (Barcelona Clinic Liver Cancer Stage C): STAB Study. Journal of Vascular and Interventional Radiology 2018, 29(8), pp.1061-1067. European Association for the Study of the Liver; European Organisation for Research and Treatment of Cancer. EASL-EORTC clinical practice guidelines:management of hepatocellular carcinoma. J Hepatol 2012; 56: 908–943. Forner A, Reig ME, de Lope CR, Bruix J. Current strategy for staging and treatment: the BCLC update and future prospects. Semin Liver Dis2010; 30:61–74. Llovet JM, Ricci S, Mazzaferro V, et al. Sorafenib in advanced hepatocellular carcinoma. N Engl J Med 2008; 359:378–390.